How long does it take for a can of soda to make it from the recycling truck to ready to sell aluminum material? About eight minutes, according to Bob McGivney from Balcones Resources. 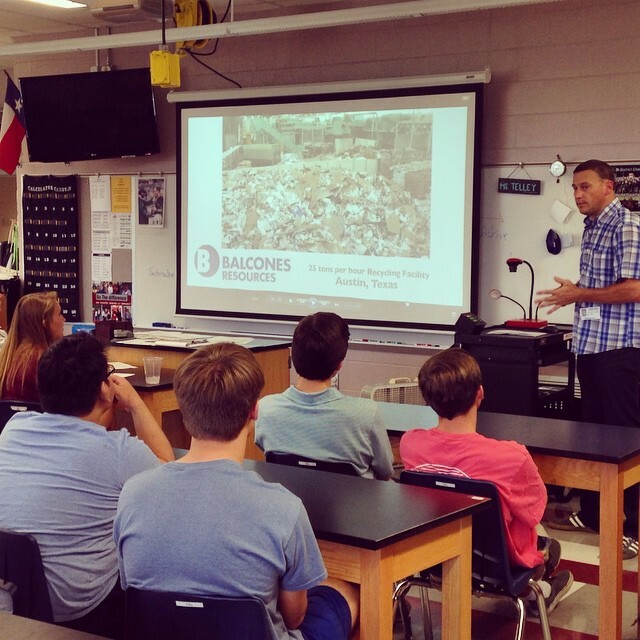 McGivney, Director of Events for the facility that handles Austin area recyclables, spoke to Austin High School’s senior AP Environment Science students about the high tech process and career opportunities in the industry. Though the students were unable to tour the building because of safety precautions, McGivney shared a detailed video of the recycling plant in action. Students had great ideas and questions about the business behind recycling, waste management, and the technology at the center. 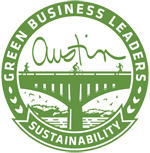 A big thank you to Deena Telley at Austin High School and Bob McGivney at Balcones Resources for coordinating this speaker!